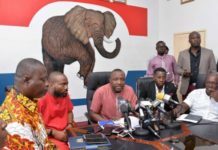 Following the rather murky aftermath of the Ayawaso Wuogon by-election violence, the Minority in Parliament has issued a statement sternly declaring their stance in the ongoing investigations by both the Police and the state-established Emile Short Commission. 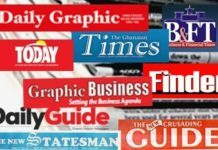 In what they describe as a ‘state instigated terror’ which marred the ‘democratic credentials’ of the by-elections and subsequently led to their withdrawal, they have vowed “not be part of any scheme to cover up or create immunity for the perpetrators”. 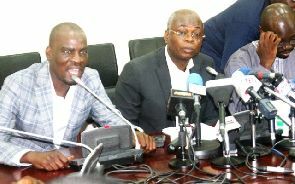 The statement, signed by the Minority Leader Haruna Iddrisu stated emphatically that, they would not relent in undertaking a full democratic process to seek justice for victims, after several failed attempts to register their displeasure with the ruling NPP government’s handling of issues. 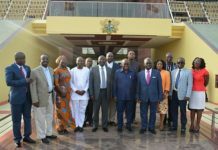 The minority in their statement also bemoaned the unusual silence of the Police after their peaceful march to the CID Headquarters, and the ‘indubitable’ evidence available to them following the Minister of State in-charge of National Security, Bryan Acheampong’s admittance to deploying the masked tasks force. Today marks exactly one week since the Minority boycotted Parliamentary proceedings and marched to the Ghana Police Headquarters to demand justice following the State-sponsored terror that characterised the January 31, 2019 by-election in the Ayawaso West Wuogon Constituency. As is now well known; innocent, unarmed citizens including our colleague Member of Parliament for Ningo-Prampram – Sam Nartey George were brutally attacked and others shot at leaving many of them hospitalised with their lives altered permanently. In the aftermath of the bloody attacks, which must also be seen as an assault on our democratic credentials, the Minister of State at the Presidency responsible for National Security, Bryan Acheampong conceded that his outfit was responsible for recruiting those bloodthirsty party bandits and providing them with the logistics, weapons and masks which they used to terrorize the very tax payer President Akufo-Addo swore to protect. In our interaction with the police high command last week, we made it clear that the good people of this country whom we represent in Parliament expect nothing short of swift and comprehensive justice in this matter. 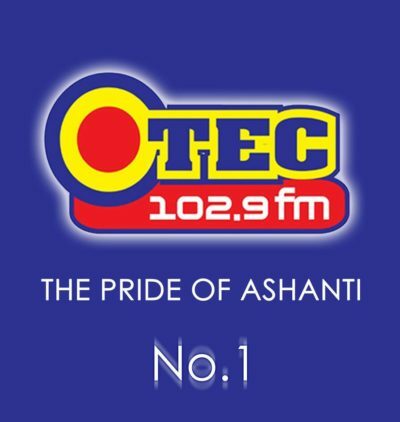 Sadly, since that meeting with the Ghana Police Service, not only has there been no further communication with us, more worryingly, there has not been a single arrest of the perpetrators despite the existence of abundant information including numerous pictures and videos which are exceedingly useful to investigators in every jurisdiction. Besides, their leader and mastermind, Mr. Bryan Acheampong has stated publicly that he knows the hoodlums and therefore it is safe to assume that he can easily produce them to face the law, even as we expect Bryan Acheampong himself to have been dismissed by now and equally made to answer for his crimes. We wish to make clear that regardless of the Commission of Inquiry so established by the President, it is our reasonable expectation that criminal investigations and prosecutions will be carried out without prejudice to the work of the Commission. The Minority would not be part of any scheme to cover up or create immunity for the perpetrators. It was additionally stressed that: “From the historical development of Commissions of Inquiry under our constitutional framework, it should now be clear that reports of such commissions containing adverse findings are judgments of the High Court as defined by the constitution, and the persons affected by the said judgment have the right of appeal to the Court of Appeal. If this was the thinking of the framers of our constitution, as demonstrated by the Constitutional Proposals cited in this ruling, can it then be right for the Attorney- General to prosecute the affected persons against whom the Republic has already secured a judgment; from which judgment they have the automatic right of appeal? No, I think the provisions in Chapter Twenty-Three of the 1992 Constitution are clear enough on the intentions and aspirations of the framers as expressed in paragraph 301 of the 1978 Constitutional Proposals.” – In the Republic v Kojo Mpianim& anor aka Ghana@50 case, Marful-Sau JA (as he then was). The Minority in Parliament wishes to serve notice that we would not relent in pursuing the series of democratic actions we had earlier announced until such a time that we are convinced that there is a genuine effort to hold the cowardly masked perpetrators accountable for their crimes. We have all toiled to nurture the democracy which has become a proud reference of the international community and we are determined to ensure that rogue elements who seek to erode gains and turn Ghana into a banana republic are not allowed to succeed.